So it happened like this: Early last week I had a Facebook missive from Buddy Finethy, one of my long-time GI Joe collecting friends who is also a high mucky-muck at JoeLanta. 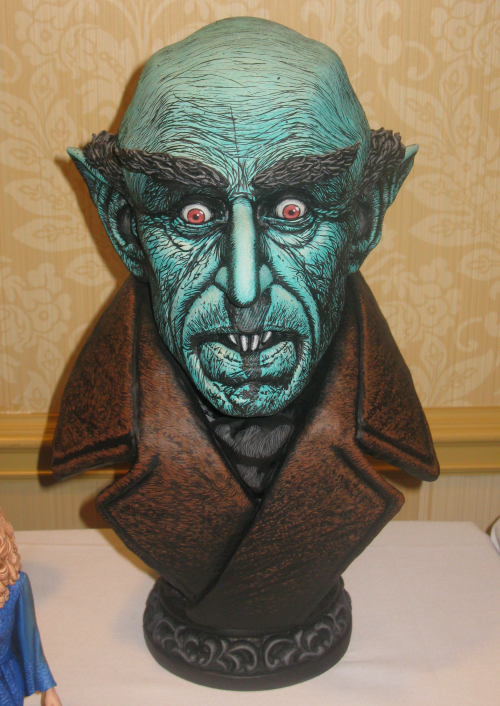 He was wondering if your PopCulteer and his wife would be attending WonderFest USA, the annual expo for model and toy collectors of s-f, horror & comics subjects–especially plastic kits and garage kits, held in Louisville, Kentucky, this year on May 30 and 31. And I’m damn glad we did. 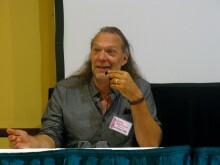 Not only did we have a blast and get to hang out some with the JoeLanta gang, but Mel got to meet Greg, I got to meet one of my heroes, famed artist William Stout, plus we met Vincent Price’s daughter, Victoria, and I got to tell Mark Cantrell in person how much I enjoyed his book on Weird-Ohs artist, Bill Campbell. We even had fun on the trip back, when we stopped for dinner at Frisch’s Big Boy in Winchester and I picked up a six-pack of Ale-8-1, a Kentucky soft drink that I haven’t tried for over thirty years and can’t remember whether or not I like. Over the next few days you will see many more photos and video from our one-day excursion. You will NOT see an episode of Radio Free Charleston or The RFC MINI SHOW. We sort of played hooky. Radio Free Charleston will return next week, with the first of two or three consecutive full-length shows. Our streaming radio show will not miss a beat, with a fresh episode every Tuesday. Our Sunday Evening Video will likely become a Monday Evening Video for this week only. Part one of our WonderFest USA coverage is a quick photo essay of the model-building contest entries, presented with no captions, because it was a long day and I’m still tired. Some of these models are larger than life, while others are only an inch tall. There will be more to come in PopCult over the next several days. RFC 22″ Shark Boy Shirt from RFC Archives on Myspace. This week it’s episode 22 from July, 2007 that we flash back to a show loaded with tons of cool stuff. In “Shark Boy Shirt,” we have a Voices of Anatole video that was the first music video directed by Holly Siders who has gone on to fame, most recently, as the director of “The Agonies” for Byzantine. This show also includes the first appearance of Captain Crash and The Beauty Queen when they were called “Aurora,” plus The No Pants Players eat a watermelon and Frank Panucci presents his classic cartoon, “No Running.” Production notes are HERE. Live on the Levee tonight features Tape Age, whose debut performance can be seen on The RFC MINI SHOW below, with opening act Meet Me At The Matinee kicking off at Haddad Riverfront Park at 6:30 PM. Normally, when it comes to books, I’m more than a little obsessive about keeping them in perfect condition. I take off the dust covers when I read, and I’m careful not to fold or crease the papers. However, this week we’re going to look at three books–actually kits–that you’re supposed to fold, spindle and assemble. Thunder Bay Press has release original Origami books that come in really nice, full-color magnetic-closure boxes and include all the Origami paper, decals and instructions you need to assemble all sorts of cool things. This is a great family activity that kids and parents can do together, but it’s also good for older kids who want to do something hands-on instead of playing videogames all day while they’re out of school. I have to admit, my favorite of the three kits that they sent me is Origami Aircraft. 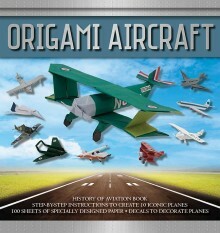 This kit will appeal to aviation enthusiasts, origami artists, and everyone who enjoys modeling aircraft from paper. The inclusion of the WWI-era Fokker Dr 1 Triplane and the Sopwith Camel won me over in an instant. Also included among the ten models you can make with this kit are more modern aircraft like the De Havilland Sea Vixen and The Concord. These are not your everyday paper airplanes, the projects in this kit replicate other famous planes like the Douglas DC 3, The Spruce Goose and Lindberg’s 1927 Spirit of St. Louis. Helping to bust the myth that there’s nothing to do in Charleston, here’s a look at some cool things going on right in the middle of this holiday-shortened week. 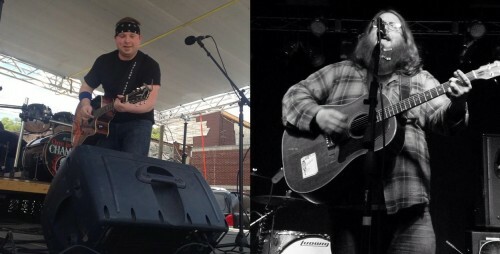 Tonight at The Empty Glass, Sheldon Vance, one of Radio Free Charleston’s favorite Appalachian Acoustic Punk/Honky Tonk performers will tag-team with Jeremy “Wood” Roberts, an Americana Songwriter Extraordinaire, for a cover-free show of terrific music, starting at 10 PM. There will also be the usual open mic at The Blue Parrot, anchored by Prank Monkey. I believe the music there also kicks off at 10 PM and is cover-free. Last week the world’s largest scale plastic model kit manufacturer, Revell Inc., announced an exclusive three-year licensing agreement with acclaimed custom car designer Chip Foose that will add six new model car kits to its existing Foose collection. Two will replicate Foose’s real-world car designs, complete with original tooling, for the first time ever in the scale plastic model marketplace. The other four will be re-issues of earlier Revell model kits that will be Foose-ified with Chip’s personal design modifications. 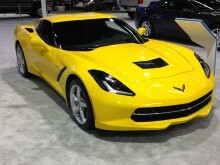 Revell’s first ever pre-decorated model glue kits featuring Foose designs, the 2015 Chevrolet Corvette C7 and Dodge Challenger SRT8, will be released late this year. They will feature Foose-created paint schemes, wheel designs and special Foose renderings used only on the Revell box art. This week on Radio Free Charleston on New Appalachian Radio our second hour theme features the Boone County legend, Hasil Adkins, The Haze. 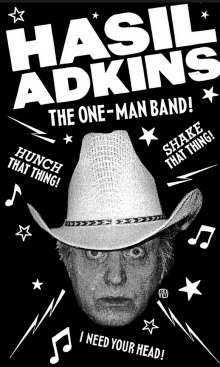 You’ll get one full hour of psychotronic rockabilly-country one-man-band craziness, peppered with my personal anecdote of meeting the man and some background on the man. 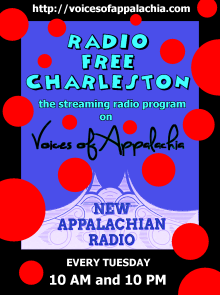 Each Week you can listen to Radio Free Charleston’s streaming radio incarnation at 10 AM and 10 PM on Tuesdays (and again at midnight Thursday) at New Appalachian Radio, part of Voices of Appalachia. If you miss it, check our the archives for previously-aired shows. You can also listen to Radio Free Charleston Saturday at Midnight. Saturday, RFC airs for six hours, starting at midnight. We kick off the show with an hour of really cool music from our usual excellent mix of local and regional artists. Of note this week, where applicable, you should be able to click on the name of the artist to find information on how you can purchase their latest releases. The Scrap Iron Pickers were an all-star progressive metal trio, based in the Charleston area, who released one killer CD and had many memorable live shows. Jason “Roadblock” Robinson anchored the band on bass. John Sizemore provided pyrotechnics with his guitar. 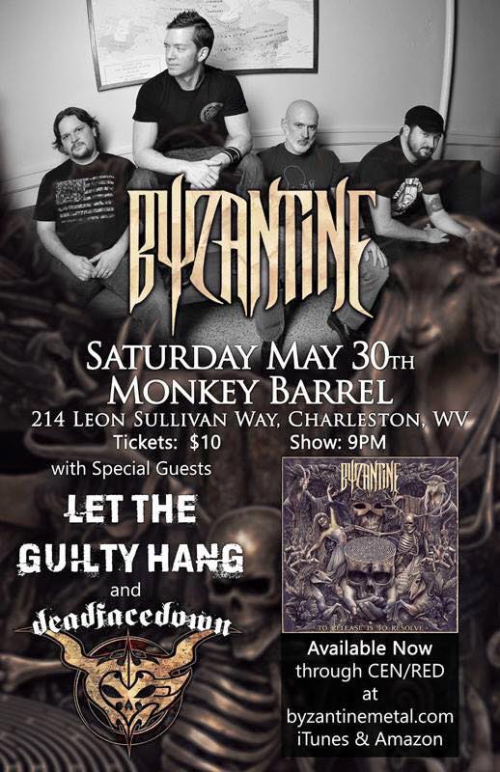 Keeping the beat on drums was none other than Matt Wolfe, the drummer for the legendary West Virginia metal band, Byzantine. 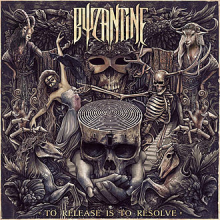 These two songs were captured on the first night of Mission Coalition, a two-day metal show with tons of great bands that was organized by Roadblock in September, 2011. We just rediscovered the footage and will be bringing you more lost classics from that weekend in future episodes of The RFC MINI SHOW. It’s Lavender Menace, from last night’s session of Dr. Sketchy’s, striking a great pose for my digital watercolors. You will be seeing more from last night’s Sketchy’s in the coming weeks. It was the first session at WVSU EDC (AKA DigiSo) and it was a blast in the new environment. Check PopCult later Monday Morning for The RFC MINI SHOW starring The Scrap Iron Pickers. 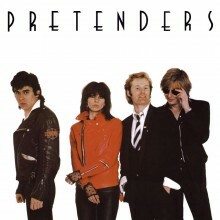 The original line-up of The Pretenders was an amazing band. And they were a full band, not just back up musicians for the incredibly talented singer-songwriter-guitarist, Chrissie Hynde. Martin Chambers and Pete Farndon were innovative and perfectly suited to the music. James Honeyman-Scott’s lead guitar work was as distincitve as Chrissie Hynde’s voice, and it’s clear that he was a major influence on Johnny Marr. Drugs splintered this line-up of the group. After two albums–one great, one rushed–and some grueling tours, Farndon and Honeyman-Scott were dead. Chrissie Hynde assembled new musicians, including her drummer, Chambers, and continues making music, excellent music, to this day. But there was still a certain magic and energy with the original line that made The Pretenders something legendary. In this video you get to see the group before the turmoil, performing four songs from their first album.